It's the last day of counting down to our absolutely beautiful, Beautiful You kit. We can't wait to share it with you! It's a fabulous mix of classic and fun, vintage and sassy, neutrals and brights and it's just so fun! One of our peeks today is at the papers that are part of this lovely kit. We love how they all work so well with each other and have a beautifully unique look to them. The prints are easy to mix and match and the pop of color throughout really brightens up this time of year. Did you notice the paper that says live a colorful life? We agree! Our second peek is at one of the projects created for our Beautiful You kit galleries. We know you love creative inspiration and these galleries give you ideas on how to use the kit. You can follow the instructions included with each project or use the kit in your very own unique and beautiful way! These are our last sneak peeks as the Beautiful You Kit is released tomorrow! Be sure to stop by and check out the full kit and coordinating galleries. Release time is 11 am EST Friday January 30th right here! See you then! We're counting down to the release of the new Beautiful You Card Kit. Just a couple more days and we can't wait! One of the special exclusives in each card kit is a unique stamp set. It's always a very popular part of the kit and this kit is no exception. We think you'll adore this latest stamp set as it's so much fun and the possibilities are endless for using it. This exclusive stamp set has nine unique circle stamps that are perfect for sentiments, stamping on circle stickers, and creating accents. Sweet, right?! We love the mix of sassy, trendy and classic images. We also have the release details to share with you today so be sure to mark them down. This kit is limited edition so once it's sold out, that's it! Beautiful You will release right here on the Maya Road Kit blog at 11 am EST on Friday January 30th. Check back in tomorrow for another peek at Beautiful You! Hey Roadies! We're back with another sneak peek at our first kit release of 2015. We're so excited to bring you the Beautiful You kit. It's a gorgeous array of color and goodies that we know you're going to love. This kit celebrates, love, friendship, beautiful things and of course, you! 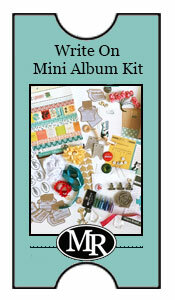 We have two peeks for you today as we just can't resist sharing so many of the wonderful goodies included in this kit! 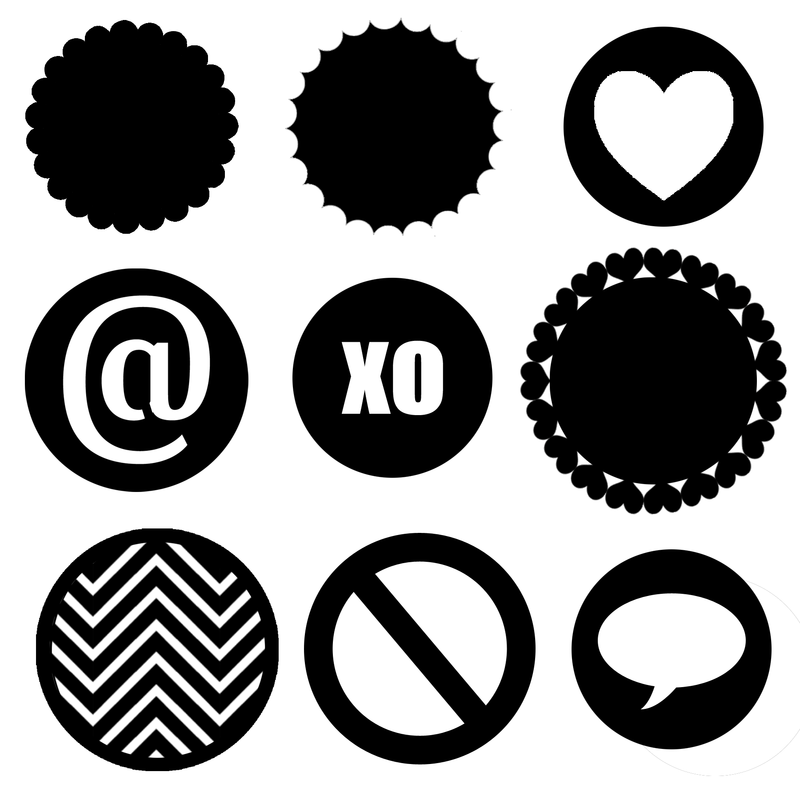 The first peek is of our exclusive flair. It's a fun mix of styles with a trendy heart piece and a vintage ladies piece. Also included in the kit is some wonderful seam binding, glassine envelopes and beautiful pins. The next peek shows you more of the beautiful leaf sequins, chalkboard style tags and our classic kraft ticket strips. You can also see a peek at one of our very popular exclusives, our wood buttons. This kit's wood button is etched with all my love and is perfect to use not only on cards, but also on altered projects and scrapbook pages. If you're excited about creating with our Maya Road Kits, be sure to join our Maya Road Kit Chat Group on Facebook, why not do so? We're sharing some extra sneak peeks there! It's lots of fun and a great way to get to know other crafters and share projects using our Maya Road Kits. Would you like to be on the preview list for our kits? If so contact us and let us know you would like to be one of the first to shop our Bountiful Memories Kit! We will offer a special head start to those that ask to be on the list! See you tomorrow when we share more sneak peeks of our upcoming Beautiful You kit! 2015 promises to be a beautiful new year full of new joys, blessings and creative fun. At Maya Road we're excited about all we have planned to make this year, 2015, one of your most creative years yet. We're planning even more fabulous kits to make it easy for you to try out new products, ideas, techniques and fit in lots of creative fun. One of the wonderful things about our kits is how well all the products work together taking a lot of the time-consuming guesswork out of your creative time. For our first kit of the year, we're super excited to bring you the new Beautiful You Card Kit. It's full of wonderful designs, embellishments, color and trims. We hope you're intrigued by this first sneak peek. Jute twine, tape measure trim, cool stitchable wood charms and sweet and shiny leaf sequins are just a tiny peek at what's in this kit. 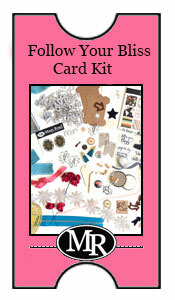 Even if you don't create cards, this kit is perfect for all kinds of crafting! Stay tuned! The Beautiful You release date is Friday January 30th and we'll be sharing more peeks at the kit throughout this week.